If you have never seen the aurora, you should definitely make it a goal. 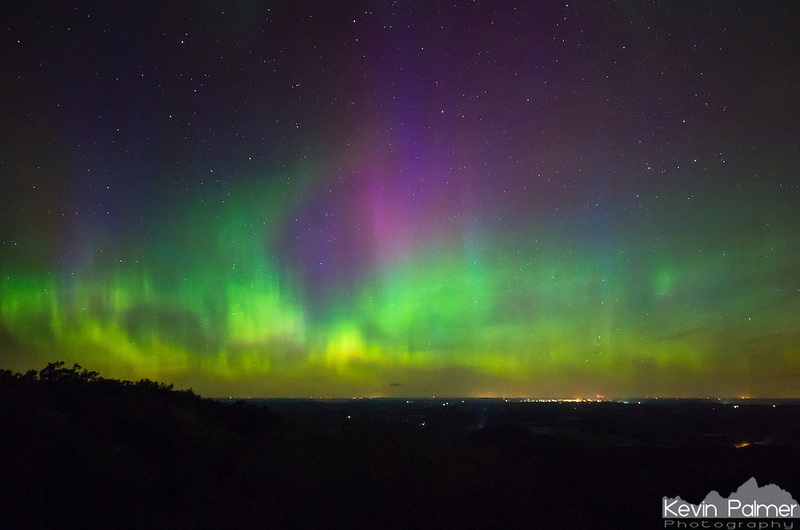 This was a once in a lifetime show for me as I have never seen a better geomagnetic storm. I was only in Wisconsin but it felt like I was in Alaska. The aurora was pulsating, moving rapidly and it covered much of the sky. Most of my pictures were taken with a 10mm lens which tells you just how much of the sky was filled with color. This was taken from the top of Blue Mound, which is the highest point in southern Wisconsin.